Welcome to April! Can you believe we are in spring already? Every year at this point I think seriously where does the time go! Well since it is April I imagine there are many wedding dates coming very close now! 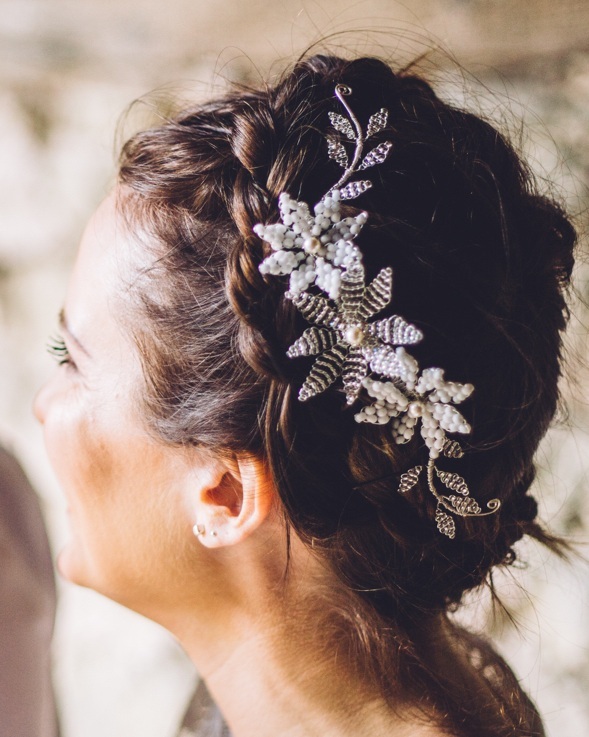 It’s not too late to find the perfect wedding accessory, decor or dress from UK based artisans. Here is a round up to create a romantic and free-spirited boho look for your wedding. By Luna Bride the beach dress, is light, floaty, comfortable and organic wedding dress. Handmade in the UK it features a gathered silk skirt and soft lace top with a gorgeous low back. Go for a pop of colour! 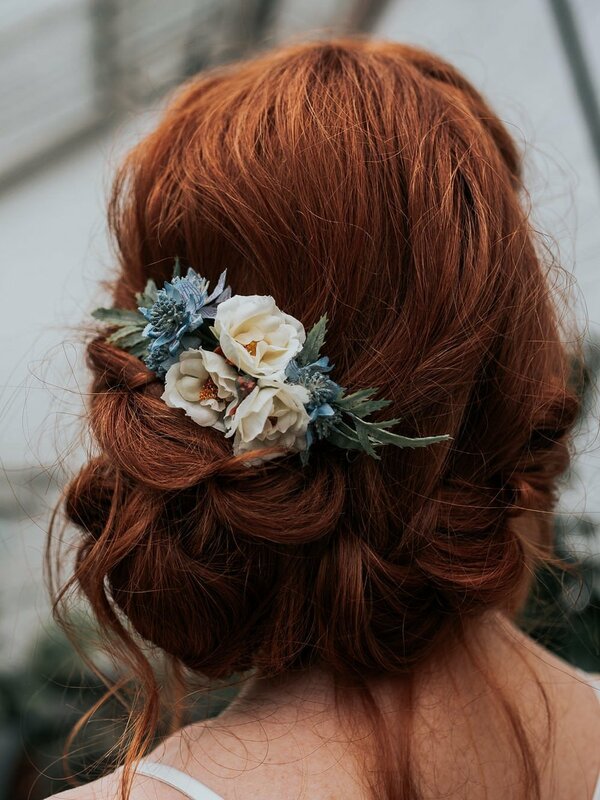 Romantically scattered hydrangeas across your hair with the Gypsy Rose Vintage hair pins. Team Beach with the bramble half crown handmade by PSwithlove for a minimalist boho look. Lace bridal two piece by Luna Bride. And something blue! With the Persephone garter by Silversixpence in her shoe. Perfect addition for the romantic boho wedding a black maxi dress. This one is eco friendly! The Sage Hair comb is perfect for maids, stylish and understated.